Android L Developer preview is only available for the Nexus 5 and Nexus 7 users. If you have any other android smartphone and want to change the look of your home screen with the new Android L OS. yes, you can do this easily without rooting your device or installing any other custom ROM. The process is very simple and take a few minutes to change the look of your homescreen. Once the homescreen is change you can feel the new slick interface on your device with new icons. The best thing of this guide is that this will work on any android device whether it is rooted or not. All you have to install a free application called themer on your device and make some changes to apply the Android L screen. First go the play store and install the themer application on your android. Check out our guide here how to use themer app on your android. Once the application is isntalled on your device, download the themer files here to apply the Android L home screen and follow the below mention instruction one by one on your device. Once the themer Zip file is saved on your desktop, connect your phone to the PCc and move the zip file on themer application that you downloaded from the Google play store. Once the file is moved the themer app location, disconnect the phone form PC. 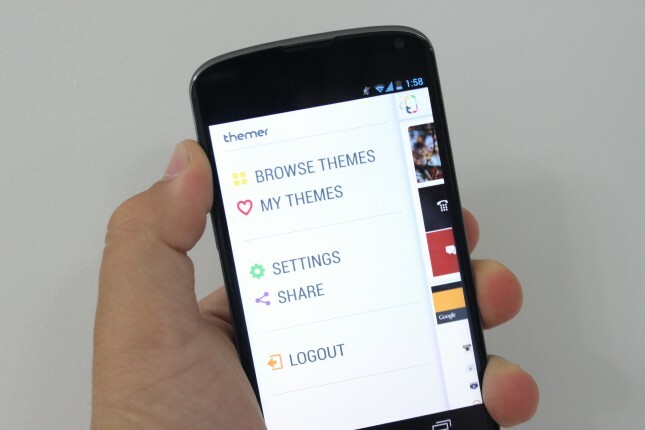 Now open the themer application on your phone and browse for themes. From here click on the “My Themes” option and select “Exported”. Here you will see the “Glassed Android L.zip” file that you downloaded form the above mention link. Apply the theme and you are done. Now you can see the new Android L Screen on your android device. 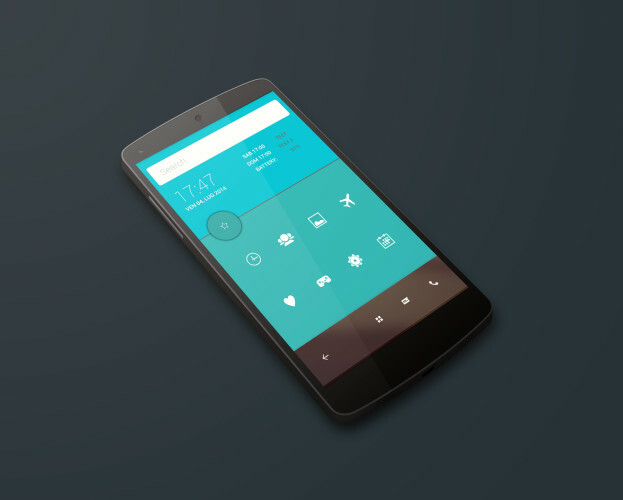 So what are you waiting for try this new theme on your device and enjoy the feel of Android L.